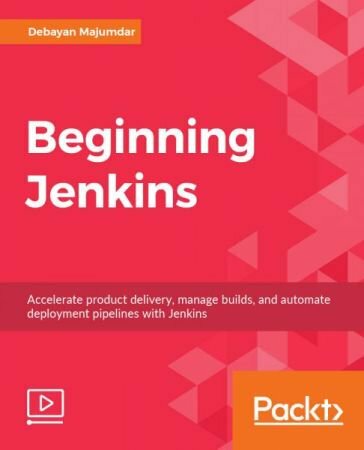 Beginning Jenkins teaches you everything you need to know about installing, setting up, configuring, and integrating a Jenkins server with your project to speed up the product development lifecycle. You will learn how to deploy via Docker and integrate with Git. Next, you will move on to understanding bespoke plugins and services to further customize your workflow, and dynamically adjust your build requirements when pushing to production. Once you have grasped the basics, you will explore user and plugin management along with updating and upgrading Jenkins. You will set up freestyle projects and views to manage your projects, followed by configuring parameters for your projects and creating upstream and downstream projects with views to visualize the projects. In addition to this, you will create a secure connection from your master to your build slaves and configure your build tasks to run on the slave. By the end of this course, you will be able to successfully set up a Jenkins server that checks your source code repositories for changes, triggering new builds and unit tests whilst informing all of the key stakeholders in your organization. Beginning Jenkins Fast Download via Rapidshare Upload Filehosting Megaupload, Beginning Jenkins Torrents and Emule Download or anything related.